By 1960, the die had been cast. Formula 1 had demonstrated that in competition, the mid-engine format was the most effective way to handle large amounts of power. After much hesitation, Enzo Ferrari came on board, first with his single-seaters, and then in 1961, with his sports-prototypes. There was no question of doing the same with the road cars, however. In the GT competition category, the GTO, descended from the Columbo-engined 250, had performance that defied its age and traditional chassis. Finally in 1964, Maranello's new road-going saloon, the 275 GTB, with its convertible version, the GTS, was unveiled at the Paris Motor Show. 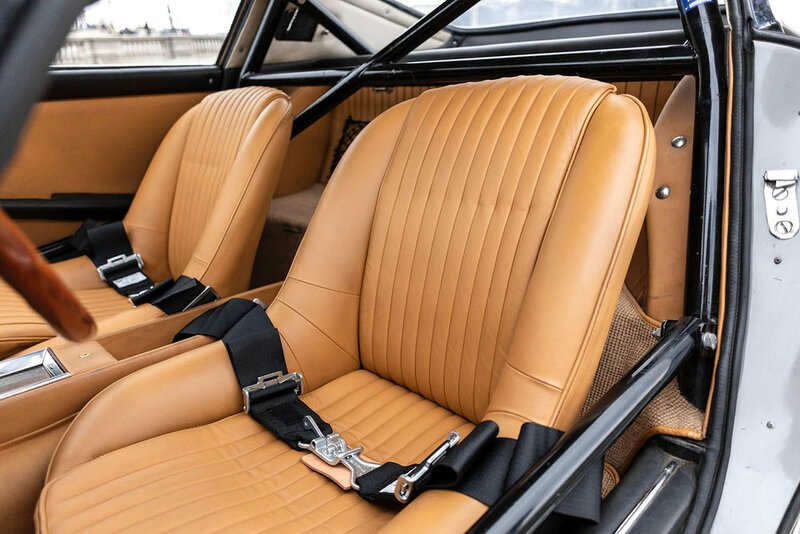 Underneath a stunning golden-yellow livery, the car displayed innovations such as lightweight alloy wheels, four-wheel independent suspension and a five-speed synchromesh gearbox. The engine was still the Columbo V12. 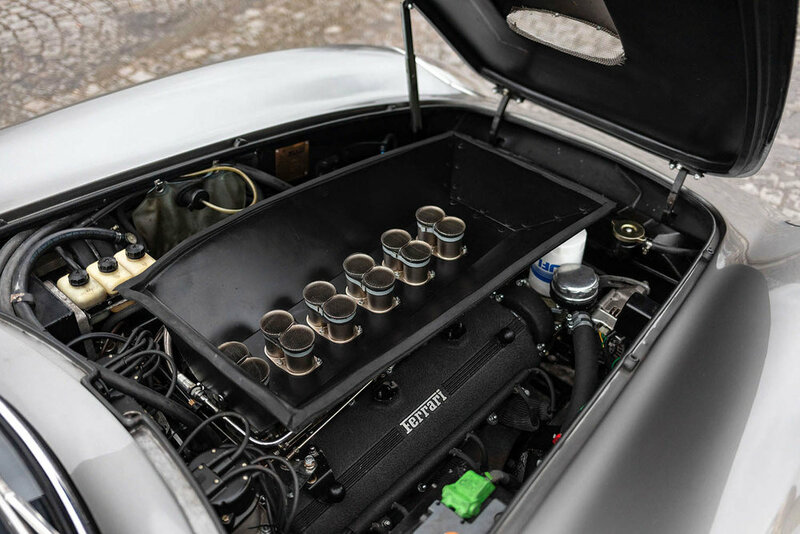 A 3.3-litre engine, developed from information gathered while racing the rear-engined 250 LM and 275 P. Fed by three twin-bodied Weber carburettors, it safely produced 280 bhp, while remaining versatile enough for road use. The independent suspension improved stability and gave the car more grip. 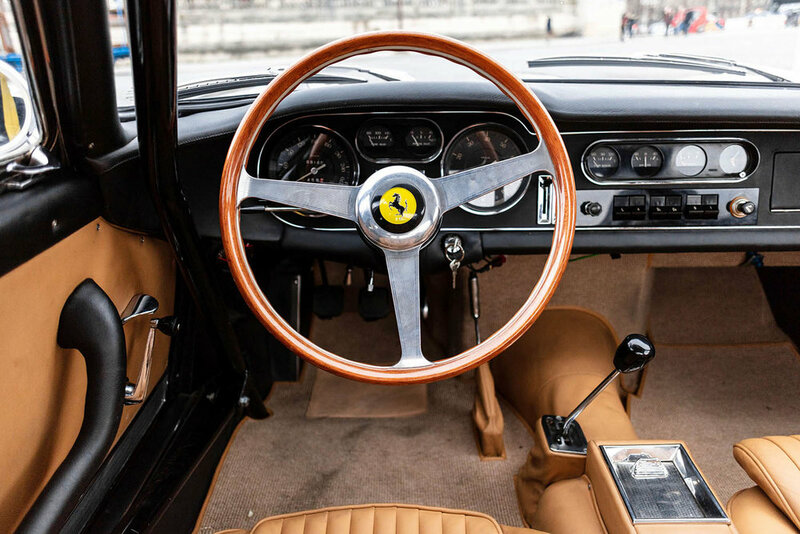 With precise steering, the 275 GTB was a driver's car which demanded concentration and anticipation, while responding to the slightest touch. A strict 2-seater coupé, the car had flowing, virile styling, tighter than on the previous 250 GT, with a sloping nose, covered headlights, high waistline and low roof with blind rear quarter panels. Much of the styling was inspired by the GTO, the engineers' car. 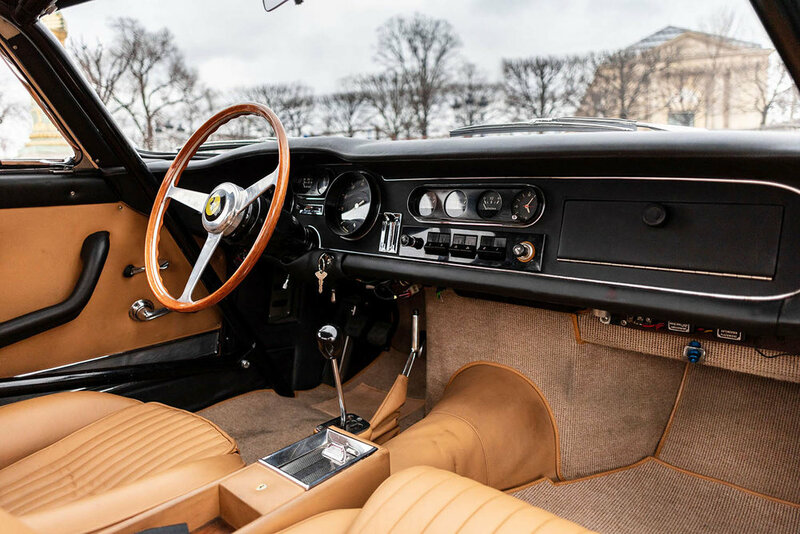 The 275 GTB, built by Carrozzeria Scaglietti, was the last Pininfarina creation supervised by Pinin himself. If it appeared rather austere in its day, its classical, elegant styling and dynamic handling quickly silenced the critics, in particular the experienced gentleman drivers, who used it successfully in competition, often with little preparation. To be more competitive, Ferrari launched the 275 GTB/C in the spring 1966, with an aluminium body also built by Scaglietti. This model was never used officially, however, and ran in the Prototipo category, as shown by the ‘P’ displayed on the body. Of the 442 Ferrari 275 GTB produced, just three chassis were stamped 275 GTC. In July 2012, Artcurial sold one for twice the price of a normal 275 GTB. That car was delivered new by the factory and taken directly to participate in the Nürburgring 1000 km where it won its class. The long-nosed 'GTC' with torsion tube transmission, was particularly refined with a reinforced chassis and special cams. 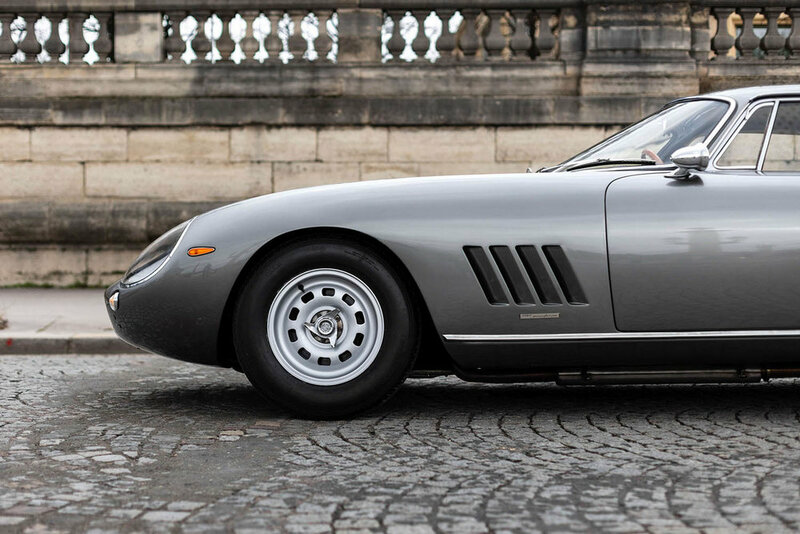 Artcurial will be offering this 1966 Ferrari 275 GTC at their upcoming Rétromobile Sale in Paris on the 8th February. For more information on this and other vehicles at the sale, click on the link below. Photos © Kevin Van Campenhout / Artcurial.